An indigenous community in Mexico’s Monarch Butterfly Biosphere Reserve confronts internal divisions and the threat of illegal loggers in order to recover the ancient forest they nearly destroyed. Like the millions of monarchs that also call this forest home, their survival depends on it. The Guardians is a story of human and nature in parallel, told through the perspectives of an indigenous Mexican community and the threatened monarch butterflies they share a forest with. The everyday struggle of Donaciano Ojeda to carve out a viable future is told through the point of view of two main characters: Santos, a charismatic avocado and trout farmer; and Aristeo, a philosophical tree caretaker. Both face enormous obstacles that test their commitment to the forest and to building a sustainable future. During the course of the film, the threats of community divisions, illegal logging, and agricultural thieves, seriously thwart their success. Just as the people struggle to survive in their indigenous forest habitat, so do the monarch butterflies. Twenty years ago, monarchs numbered almost a billion. But the population has steadily declined, hitting a record low 33 million in 2013. 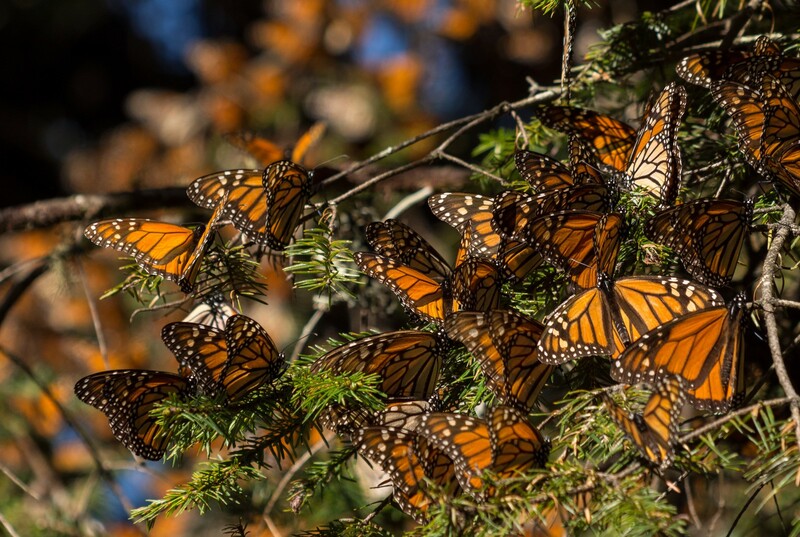 Despite a slight uptick in 2014, dangerously low population levels spark concern on both sides of the border, as the monarchs rely on the habitat of three nations as they migrate from Canada to Mexico and back each year.